The Boeing Company - Boeing - "What others dream, We do"
The Boeing Company is a major aerospace and defense corporation, founded in 1916 by William E. Boeing in Seattle, Washington. Boeing has expanded over the years, merging with McDonnell Douglas in 1997. 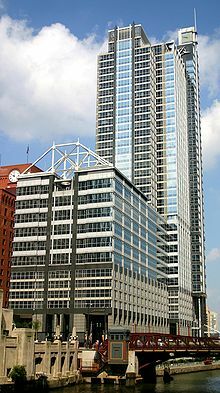 Boeing Corporate headquarters has been in Chicago, Illinois since 2001. Boeing is made up of multiple business units, which are Boeing Commercial Airplanes (BCA); Boeing Defense, Space & Security (BDS); Engineering, Operations & Technology; Boeing Capital; and Boeing Shared Services Group. Boeing is among the largest global aircraft manufacturers by revenue, orders and deliveries, and the third largest aerospace and defense contractor in the world based on defense-related revenue. Boeing is the largest exporter by value in the United States. Its stock is a component of the Dow Jones Industrial Average. Boeing was incorporated in Seattle, Washington by William E. Boeing, on July 15, 1916, as "Pacific Aero Products Co." William E. Boeing had studied at Yale University and worked initially in the timber industry, where he became wealthy and acquired knowledge about wooden structures. This knowledge would prove invaluable in his subsequent design and assembly of airplanes. The company stayed in Seattle to take advantage of the local supply of Spruce wood. William Boeing founded his company a month after the June 15 maiden flight of one of the two "B&W" seaplanes built with the assistance of George Conrad Westervelt, a U.S. Navy engineer. Boeing and Westervelt decided to build the B&W seaplane after having flown in a Curtiss seaplane and realizing they could build a better airplane. Many of Boeing's early planes were seaplanes. At this point the Boeing planes were built and assembled in a lakeside hangar located in Seattle's South Lake Union Neighborhood. On May 9, 1917, the company became the "Boeing Airplane Company". In late 1917, the US entered World War I and Boeing knew that the US Navy needed training seaplanes. So Boeing shipped two new Model Cs to Pensacola, Florida where the planes were flown for the Navy. The Navy liked the Model C so much that they ordered fifty more. The Boeing Company moved its operations to a larger former shipbuilding facility known as Boeing Plant 1, located on the Lower Duwamish Waterway. When World War I ended in 1918, a large surplus of cheap, used military planes flooded the commercial airplane market, and this prevented aircraft companies like Boeing from selling any new airplanes. Because of this, many airplane companies went out of business, but other companies, including Boeing, started selling other products. Boeing built dressers, counters, and furniture, along with flat-bottom boats called Sea Sleds. In 1919 the Boeing B-1 made its first flight. It was a flying boat that accommodated one pilot and two passengers and mail. Over the course of eight years, it made international airmail flights from Seattle, Washington to Victoria, British Columbia. On May 24th, 1920, the Boeing Model 8 made its first flight. It was the first plane to fly over Mount Rainier. In 1923, Boeing began a competition against Curtiss for a contract to develop a pursuit fighter for the U.S. Army Air Service. Although Curtiss finished its design first and was awarded the contract, Boeing continued to develop its PW-9 fighter. That plane, along with the Boeing P-12/ F4B fighter, made Boeing a leading manufacturer of fighters over the course of the next decade. In 1925, Boeing built its Model 40 mail plane for the US government to use on airmail routes. In 1927, an improved version of this plane was built, the Model 40A. The 40A won the U.S. Post Office's contract to deliver mail between San Francisco and Chicago. The 40A also had a passenger cabin that accommodated two passengers. That same year, Boeing created an airline named Boeing Air Transport, which merged a year later with Pacific Air Transport and the Boeing Airplane Company. The first airmail flight for the airline was on July 1st, 1927. The company changed its name to United Aircraft and Transport Corporation in 1929 and acquired Pratt & Whitney, Hamilton Standard Propeller Company, and Chance Vought. United Aircraft then purchased National Air Transport in 1930. On July 27, 1929, the 12-passenger Boeing 80 biplane made its first flight. With three engines, it was Boeing's first plane built with the sole intention of being a passenger transport. An upgraded version, the 80A, carrying eighteen passengers, made its first flight in September 1929. In 1930, the Monomail, a low-wing monoplane that carried mail, was built. Built entirely out of metal, it was very fast and aerodynamic, and it also had retractable landing gear. In fact, its design was so revolutionary that the engines and propellers of the time could not handle the plane. By the time controllable pitch propellers were developed, Boeing was building its Model 247 airliner. Two Monomails were built. The second one, the Model 221, had a 6-passenger cabin. In 1933 the revolutionary Boeing 247 was introduced, the first truly modern airliner. The 247 was an all-metal low-wing monoplane that was much faster, safer, and easier to fly than other passenger aircraft. For example, it was the first twin engine passenger aircraft that could fly on one engine. In an era of unreliable engines, this vastly improved flight safety. Boeing built the first sixty aircraft exclusively for its own airline operations. This badly hurt competing airlines, and was typical of the anti-competitive corporate behavior that the US government sought to prohibit at the time. The Air Mail Act of 1934 prohibited airlines and manufacturers from being under the same corporate umbrella, so the company split into three smaller companies - Boeing Airplane Company, United Airlines, and United Aircraft Corporation, the precursor to United Technologies. As a result, William Boeing sold off his shares and left Boeing. Claire Egtvedt, who had become Boeing's president in 1933, became the chairman as well. He believed the company's future was in building bigger planes. Work began in 1936 on Boeing Plant 2 to accommodate the production of larger modern aircraft. In 1938, Boeing completed work on its Model 307 Stratoliner. This was the world’s first pressurized-cabin transport aircraft, and it was capable of cruising at an altitude of 20,000 feet (6,100 m) - above most weather disturbances. During World War II, Boeing built a large number of B-17 and B-29 bombers. Many of the workers were women whose husbands had gone to war. In the beginning of March 1944, production had been scaled up in such a manner that over 350 planes were built each month. To prevent an attack from the air, the manufacturing plants had been covered with greenery and farmland items. During these years of war the leading aircraft companies of the US cooperated. The Boeing-designed B-17 bomber was assembled also by Lockheed Aircraft Corp. and Douglas Aircraft Co., while the B-29 was assembled also by Bell Aircraft Co. and by Glenn L. Martin Company. After the war, most orders of bombers were canceled and 70,000 people lost their jobs at Boeing. The company aimed to recover quickly by selling its Stratocruiser (the Model 377), a luxurious four-engine commercial airliner developed from the B-29. 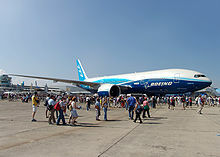 However, sales of this model were not as expected and Boeing had to seek other opportunities to overcome the situation. The company successfully sold military aircraft adapted for troop transportation and for aerial refueling. Boeing developed military jets such as the B-47 Stratojet and B-52 Stratofortress bombers in the late-1940s and into the 1950s. During the early 1950s, Boeing used company funds to develop the 367-80 jet airliner demonstrator that led to the KC-135 Stratotanker and Boeing 707 jetliner. Picture - The 707 and 747 formed the backbone of many major airline fleets through the end of the 1970s. Boeing also developed hydrofoils in the 1960s. The screw driven USS High Point (PCH-1) was an experimental submarine hunter. The patrol hydrofoil USS Tucumcari (PGH-2) was more successful. Only one was built, but it saw service in Vietnam and Europe before running aground in 1972. 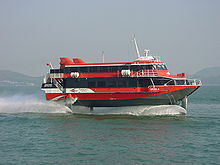 Its innovative waterjet and fully submersed flying foils were the model for the later Pegasus class patrol hydrofoils and the model 929 Jetfoil ferries in the 1980s. The Tucumcari and later boats were produced in Renton. While the Navy hydrofoils were withdrawn by the end of the 1980s, the swift and smooth Boeing Jetfoils are still in service in Asia. In the beginning of the 1970s, Boeing faced a new crisis. The Apollo program, in which Boeing had participated significantly during the preceding decade, was almost entirely canceled. Once more, Boeing hoped to compensate with sales of its commercial airliners. At that time, however, there was a heavy recession in the airlines industry so that Boeing did not receive any orders for more than a year. Boeing's bet for the future, the new 747, was delayed in production by three months because of problems with its Pratt & Whitney engines. Another problem was that in 1971, the U.S. Congress decided to stop the financial support for the development of the supersonic 2707, Boeing's answer to the British-French Concorde, forcing the company to discontinue the project. The company had to reduce the number of employees from over 80,000 to almost half, only in the Seattle area. In January 1970, the first 747, a four-engine long-range airliner, flew its first commercial flight. This famous aircraft completely changed the way of flying, with its 450-passenger seating capacity and its upper deck. Boeing has delivered nearly 1,400 747s. The 747 has undergone continuous improvements to keep it technologically up-to-date. Larger versions have also been developed by stretching the upper deck. As of 2010, the 747 is still being produced, with its newest version being the 747-8. In 1983, the economic situation began to improve. Boeing assembled its 1,000th 737 passenger airliner. During the following years, commercial aircraft and their military versions became the basic equipment of airlines and air forces. As passenger air traffic increased, competition was harder, mainly from Airbus, a European newcomer in commercial airliner manufacturing. Boeing had to offer new aircraft, and developed the single-aisle 757, the larger, twin-aisle 767, and upgraded versions of the 737. An important project of these years was the Space Shuttle, to which Boeing contributed with its experience in space rockets acquired during the Apollo era. 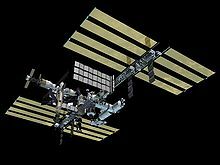 Boeing participated also with other products in the space program, and was the first contractor for the International Space Station program. During the decade several military projects went into production, including Boeing support of the stealth B-2 bomber. As part of an industry team led by Northrop, Boeing built the outboard portion of the B-2 stealth bomber wing, the aft center fuselage section, landing gears, fuel system and weapons delivery system. At its peak in 1991, the B-2 was the largest military program at Boeing, employing about 10,000 people. The same year, the National Aeronautic Association of the USA awarded the B-2 design team the Collier Trophy for the greatest achievement in aerospace in America. The first B-2 rolled out of the bomber's final assembly facility in Palmdale, Calif., in November 1988 and it flew for the first time on July 17, 1989. The Avenger air defense system and a new generation of short-range missiles also went into production. During these years, Boeing was very active in upgrading existing military equipment and developing new ones. Boeing also contributed to wind power development with the experimental MOD-2 Wind Turbines for NASA and US DOE, and the MOD-5B for Hawaii. Boeing was one of seven competing companies' that bid for the Advanced Tactical Fighter. Boeing agreed to team with General Dynamics and Lockheed, so that all three companies would participate in the development if one of the three companies design was selected. The Lockheed design was eventually selected and developed into the F-22 Raptor. In April 1994, Boeing introduced the most modern commercial jet aircraft at the time, the twin-engine 777, with a seating capacity of approximately 300 to 370 passengers in a typical three-class layout, in between the 767 and the 747. The longest range twin-engined aircraft in the world, the 777 was the first Boeing airliner to feature a "fly-by-wire" system and was conceived partly in response to the inroads being made by the European Airbus into Boeing’s traditional market. This aircraft reached an important milestone by being the first airliner to be designed entirely by using CAD techniques. Also in the mid-1990s, the company developed the revamped version of the 737, known as the 737 "Next-Generation", or 737NG. It has since become the fastest-selling version of the 737 in history, and on April 20, 2006 sales passed those of the "Classic 737", with a follow-up order for 79 aircraft from Southwest Airlines. In 1995 Boeing announced that the headquarters complex on East Marginal Way South would be demolished instead of being upgraded to match new seismic standards. Boeing scheduled demolition of the facility in 1996 and moved the headquarters to an adjacent building. In 1997 Boeing's headquarter was located on East Marginal Way South, by King County Airport, in Seattle. In 1996, Boeing acquired Rockwell’s aerospace and defense units. The Rockwell business units became a subsidiary of Boeing, named Boeing North American, Inc. In August 1997, Boeing merged with McDonnell Douglas in a US$13 billion stock swap under the name The Boeing Company. However this name had actually been Boeing's official name previously adapted on May 21, 1961. Following the merger, the McDonnell Douglas MD-95 was renamed the Boeing 717, and the production of the MD-11 was limited to the freighter version. Boeing introduced a new corporate identity with completion of the merger, incorporating the Boeing logo type and a stylized version of the McDonnell Douglas symbol, which was derived from the Douglas Aircraft logo from the 1970s. In September 2001, Boeing moved its corporate headquarters from Seattle to Chicago. Chicago, Dallas and Denver - vying to become the new home of the world’s largest aerospace concern - all had offered packages of multimillion-dollar tax breaks. Its offices are located in the Fulton River District, Chicago just outside the Loop, Chicago. Subsequently, Boeing streamlined production and turned its attention to a new model, the 787 Dreamliner, using much of the technology developed for the Sonic Cruiser, but in a more conventional aircraft designed for maximum efficiency. The company also launched new variants of its successful 737 and 777 models. The 787 proved to be highly popular choice with airlines, and won a record number of pre-launch orders at a time in which Airbus was seen to be struggling with delays and cost overruns in producing its A380 superjumbo; at the same time, several airlines threatened to switch their A380 orders to Boeing's modernized version of the 747, the 747-8. Airbus's response to the 787, the A350, received a lukewarm response at first when it was announced as an improved version of the A330, and only gained significant orders when Airbus promised an entirely new design. The 787 has encountered delays in coming to production, with the first flight not occurring until late 2009, more than two years late. Production will be increased to 10 Boeing 787s per month by 2013. On August 18, 2007, NASA announced that Boeing would be the manufacturing contractor for the liquid-fueled upper stage of the Ares I rocket. The stage, based on both Apollo-Saturn and Space Shuttle technologies, will be constructed at NASA's Michoud Assembly Facility near New Orleans, the same site where Boeing constructed the massive S-IC stage of the Saturn V rocket in the 1960s. In May 2003, the US Air Force announced it would lease 100 KC-767 tankers to replace the oldest 136 of its KC-135s. In November 2003, responding to critics who argued that the lease was more expensive than an outright purchase, the DoD announced a revised lease of 20 aircraft and purchase of 80. In December 2003, the Pentagon announced the project was to be frozen while an investigation of allegations of corruption by one of its former procurement staffers, Darleen Druyun (who began employment at Boeing in January) was begun. The fallout of this resulted in the resignation of Boeing CEO Philip M. Condit and the termination of CFO Michael M. Sears. Harry Stonecipher, former McDonnell Douglas CEO and Boeing COO, replaced Condit on an interim basis. Druyun pleaded guilty to inflating the price of the contract to favor her future employer and to passing information on the competing Airbus A330 MRTT bid. In October 2004, she was sentenced to nine months in jail for corruption, fined, given three years of supervised release and 150 hours of community service. Until the late 1970s the US had an almost de facto monopoly in the Large Civil Aircraft (LCA) sector. The Airbus consortium (created in 1969) started competing effectively in the 1980s. At that stage the US became concerned about the European competition and the alleged subsidies paid by the European governments for the developments of the early models of the Airbus family. This became a major issue of contention, as the European side was equally concerned by subsidies accruing to US LCA manufacturers through NASA and Defense programs. On January 11, 2005, Boeing and Airbus agreed that they would attempt to find a solution to the dispute outside of the WTO. 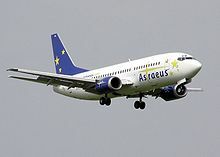 However, in June 2005, Boeing and the United States government reopened the trade dispute with the WTO, claiming that Airbus had received illegal subsidies from European governments. Airbus has also retaliated against Boeing, reopening the dispute and also accusing Boeing of receiving subsidies from the US government. On September 15, 2010, the World Trade Organization ruled that Boeing had received billions of dollars in illegal government subsidies. Boeing responded that the ruling was a fraction of the size of the ruling against Airbus and would require few changes in its operations. Picture - The Boeing 787 on its first flight. Boeing has achieved several consecutive launches, beginning with the formal launch of the 787 for delivery to All Nippon Airways and Air New Zealand. Rollout of the first 787 occurred on July 8, 2007, with the first flight taking place on December 15, 2009. Boeing launched the 777 Freighter in May 2005 with an order from Air France. The freighter variant is based on the −200LR. Other customers include FedEx, Emirates Airline, and Air Atlanta Icelandic. Boeing has achieved above projected orders for its 787 Dreamliner, outselling the rival Airbus A350. Picture - The record-breaking 777-200LR Worldliner, presented at the Paris Air Show 2005. On August 11, 2006, Boeing announced an agreement to form a joint-venture with the large Russian titanium producer, VSMPO-Avisma for the machining of titanium forgings. The forgings will be used on 787 program. On December 27, 2007 Boeing and VSMPO-Avisma created a joint venture Ural Boeing Manufacturing and signed a contract on titanium products deliveries until 2015, with Boeing planning to invest $27 billion in Russia over the next 30 years. Picture - Boeing plant in Wichita. Boeing maintains a large work force in Wichita, Kansas. Boeing developed the Boeing KC-767 aerial refueling tanker. Italy ordered four KC-767s in December 2002, with the first one scheduled to be delivered in November 2008. Boeing and Italy are negotiating on the penalty for the late deliveries. Boeing stated the delay is due to such factors as design changes, expanded US flight testing, greater-than-expected challenges to software integration, and the complexity of getting the tanker ready for certification by the Federal Aviation Administration. Boeing's late delivery of a tanker to Japan in 2007 incurred a penalty "well under $5 million" according to Boeing. 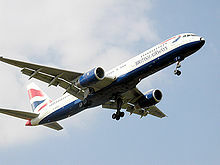 Boeing delivered the third aircraft to Japan in March 2009 and the last aircraft was delivered in January 2010. Boeing jointly with Science Applications International Corporation (SAIC), were the prime contractors in the U.S. military's Future Combat Systems program. The FCS program was canceled in June 2009 with all remaining systems swept into the BCT Modernization program. Boeing works jointly with SAIC in the BCT Modernization program like the FCS program but the U.S. Army will play a greater role in creating baseline vehicles and will only contract others for accessories. In May 2006, four concept designs being examined by Boeing were outlined in The Seattle Times based on corporate internal documents. The research aims in two directions: low-cost airplanes, and environmental-friendly planes. Codenamed after the well-known Muppets a design team known as the Green Team concentrated primarily on reducing fuel usage. All four designs illustrated rear-engine layouts. Researchers at the University of Massachusetts had listed Boeing as the thirteenth-largest corporate producer of air pollution in the United States based on 2002 data, although data from 2008 shows that they have dropped off the list. According to the Center for Public Integrity, the United States Environmental Protection Agency has linked Boeing to more than twenty Superfund toxic waste sites. On August 31, 2010, Boeing worked with the US Airforce to test the Boeing C-17 running on 50% JP-8, 25% Hydro-treated Renewable Jet fuel and 25% of a Fischer-Tropsch fuel with successful results. Boeing's 2010 lobbying expenditure by the third quarter was $13.2 million (2009 total: $16.9 million). In both 2009 and 2008 Boeing was second on the list of Top 100 US Federal Contractors, with contracts totalling $22.0 billion and $23.1 billion respectively. Since 1995, the company has agreed to pay $1.6 billion to settle thirty-nine instances of misconduct, including $615 million in 2006 in relation to illegal hiring of government officials and improper use of proprietary information. The company is a member of the U.S. Global Leadership Coalition, a Washington D.C.-based coalition of over 400 major companies and NGOs that advocates for a larger International Affairs Budget, which funds American diplomatic and development efforts abroad. A series of cables show how US diplomats and senior politicians intervene on behalf of Boeing to help boost the company's sales. In 2007 and 2008 the company benefitted from over $10 billion of long-term loan guarantees, helping finance the purchase of their commercial aircraft in countries including Brazil, Canada, Ireland and the United Arab Emirates, from the Export-Import Bank of the United States, some 65% of the total loan guarantees the bank made in the period. Approximately 1.5% of Boeing employees are in the Technical Fellowship program, a program through which Boeing's top engineers and scientists set technical direction for the company. Greider, William. 'One World, Ready or Not: The Manic Logic of Global Capitalism. London: Penguin Press, 1997. ISBN 0-7139-9211-5. Boeing Pictures and Boeing for Sale.